We love nothing more than clever people and clever design here at Babyology HQ and we adore this cutting edge furniture, designed to stand out in the crowd. 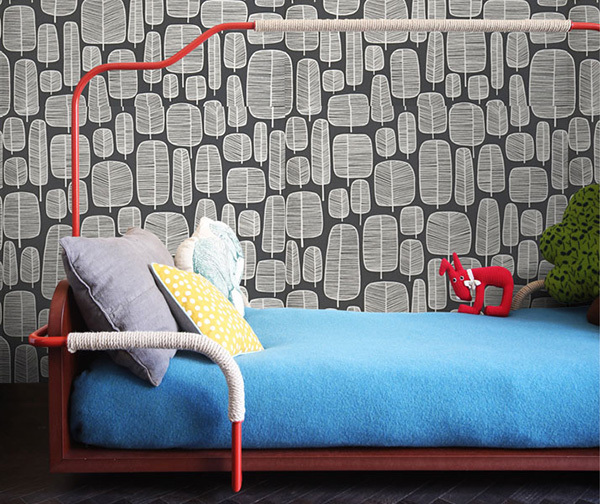 Modern day furniture for modern day kids, Cose da Bocia is the first kids’ furniture collection from two talented designers, Andrea Marcante and Adelaide Testa. With a focus on refined fun, furniture is designed with children in mind, creating pieces which serve a purpose while being almost a piece of functioning art. Furniture incorporates interesting materials -including recycled wood, tubular metal, rope and cork – and pops of pretty colour. 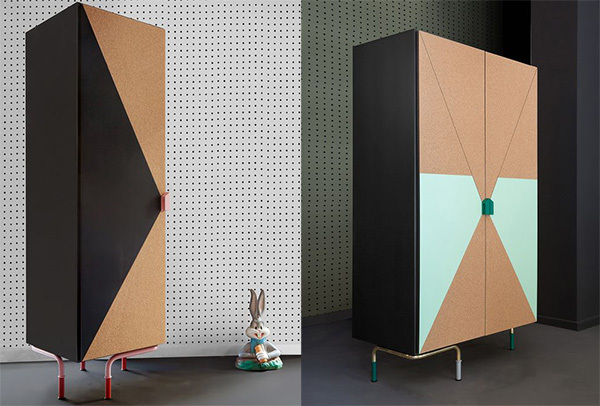 Of the whole collection, I love the Armari wardrobe the most (who can resist geometric shapes mixed with cork? 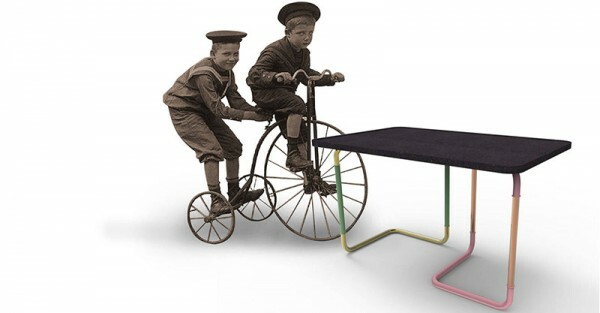 ), closely followed by the adjustable height Taulin table in all its multi coloured tubular metal legged glory. The cleverness of designers Andrea and Adelaide shows in every piece. 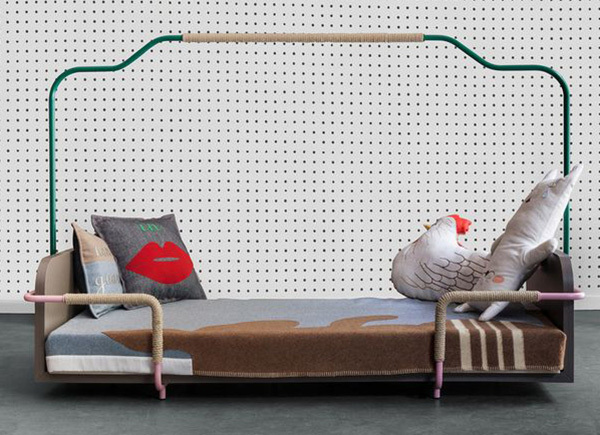 Who would have thought a beautiful bed such as the Let could be created from tubular metal and rope? 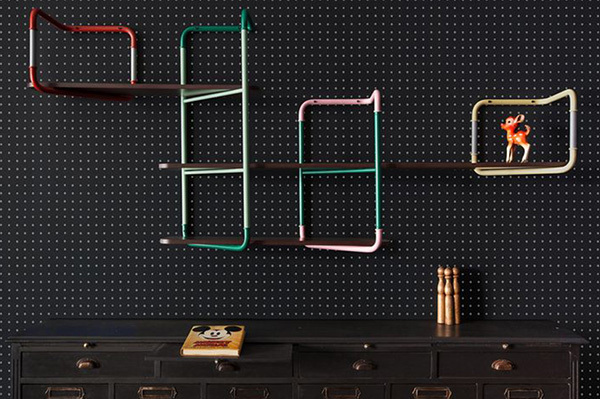 Of course, for those who have their furniture all sorted and are just looking for a touch of wow factor, you can’t look past the very fancy Stager modular shelf system – there’s room for a whole lot of books and treasures on these shelves. To see the innovative collection as a whole, head on over to Cose da Bocia. We’ve been told pieces will be available to purchase from their website soon.